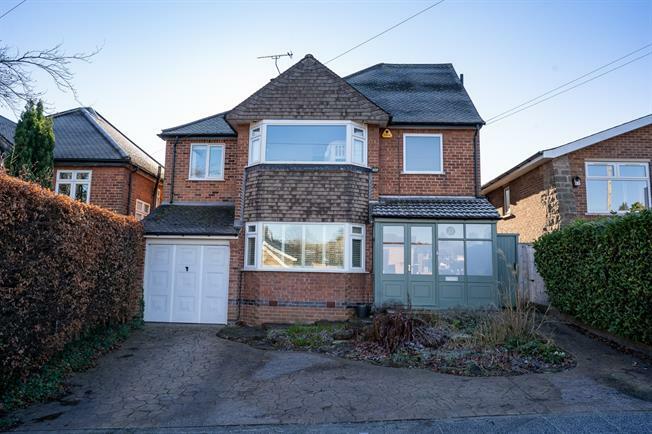 5 Bedroom Detached House For Sale in Nottingham for Asking Price £495,000. Prepare to be impressed ! Presented to an impeccable standard, this extended family home boasts a stunning living space with open plan living room, dining room & kitchen, family room, TV room, five bedrooms of which the master bedroom has an en-suite & a stunning family bathroom. Re-fitted to a high standard throughout including oak flooring, luxury style family bathroom & en-suite, there is also a larger than average garden to the rear. Further complimented by a utility room, down stairs WC, driveway & garage, call now to view ! UPVC double glazed patio door to garden, contemporary radiator. Vaulted ceiling, double glazed Velux window to rear & uPVC double glazed window to side, radiator.